We, the Bonner County Prosecutor’s Office, serve the public and law enforcement agencies by prosecuting criminal cases through aggressive, fair, and timely prosecution of crimes while offering dignity, respect, and support to crime victims. We also prosecute and defend civil actions involving Bonner County, and advise the county commissioners and other public officers on matters of county business. My name is Louis Marshall. I have been the elected prosecutor since January 2009. Before that, I served as a deputy prosecutor from the years 2002 through 2008. We have nineteen employees, including eight attorneys. Our office handles the prosecution of all crimes that occur within unincorporated Bonner County as well as the felonies that occur within the cities of Sandpoint, Priest River, and Ponderay. Additionally, the office is responsible for all crimes committed under the Juvenile Corrections Act, all civil commitment proceedings, and all proceedings under the Child Protection Act. 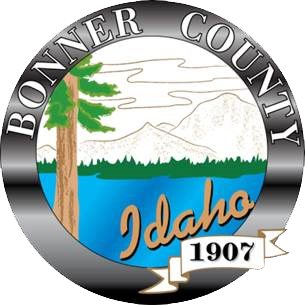 Our office also represents Bonner County in a civil capacity. This includes providing legal advice to elected officials and department heads, as well as providing the general civil defense of Bonner County. In 2015 the Bonner County Prosecutor’s Office welcomed Courthouse Facility Dog, Ken, to its staff. Ken was trained by Canine Companions for Independence in Oceanside California. Ken is a male Lab/Retriever mix who specializes in making children and vulnerable people more at ease during the criminal justice process. Ken works with handlers Peggy Frye and Rosemary Udrizar with the Victim Witness Unit within the Prosecutors Office.